Earn 84 loyalty points, worth £4.20, with this purchase. Contoured waterproof and breathable top section ensures you peace of mind during unsettled weather by providing your horse shelter from the heavy rain and protecting their vital area’s whilst preventing overheating through the airflow in the net sections. 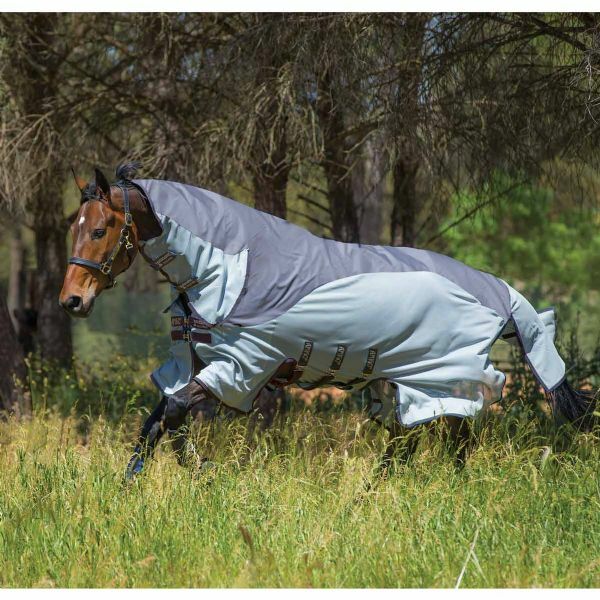 Protects your horse from flies and UV damage. The rug is lined with shine enhancing polyester on the top section, shoulders, and tail and our all-in-one design protects the mane. Extra long tail flap and straight surcingles.